The Flat Cazuela is perfect for the slow cooking of stews and casseroles, but due to its low profile, perfect for rice and seafood stews such as Paella. Length 14in (including handles), Width 11.5in, Height 5in, Diameter 9.75in and Capacity 3qt (filled comfortably without overflowing). 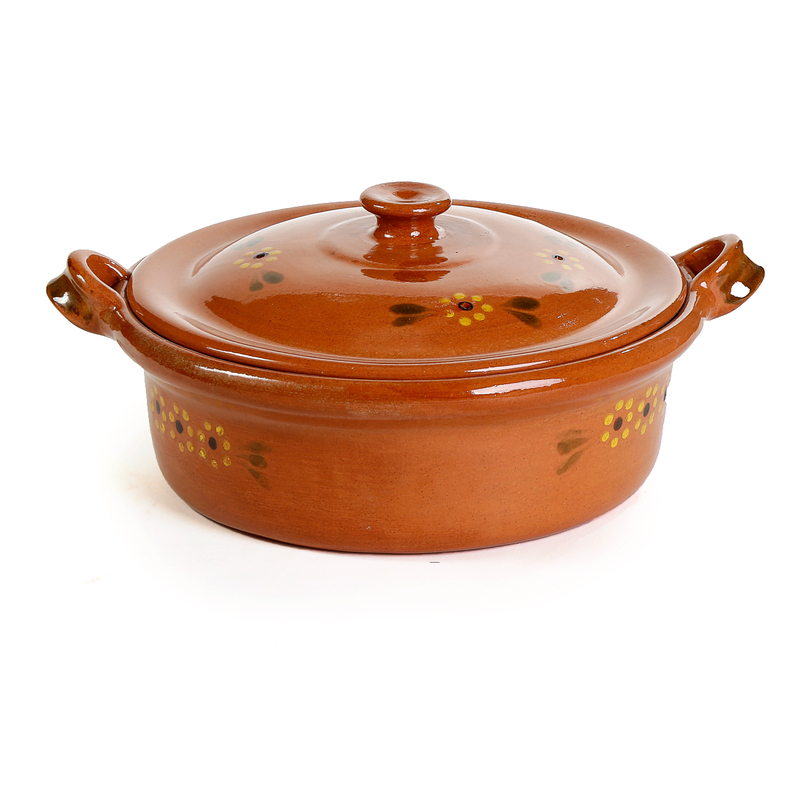 Well suited for gas or electric ranges, and perfect for placing in an oven for finishing those rice dishes slowly. Since clay is a natural and porous material, it does not react with the food and causes a slow evaporation of steam from the pores. The moist enclosed interior results in food that is healthier and tastier as it requires less fat and liquids. The beautiful exterior finish makes for a great presentation for family style service. In the semi-desert region of Hidalgo, Mexico, our cazuelas are made by hand by artisans whose craft has been handed down for several generations.